My husband loves Mexican food. This also means he loves tortilla chips. He loves yellow corn tortilla chips, blue corn tortilla chips, and every type of tortilla chip in the middle. If you have ever looked at the ingredients in a store-bought bag of tortilla chips, the ingredients are hardly healthy. Most tortilla chips are fried. Not these healthy corn tortilla chips! When we went unprocessed, he said we just had to come up with a healthy corn tortilla chip recipe to satisfy his cravings. I think this tortilla chip recipe does just that, plus they are simple to make. 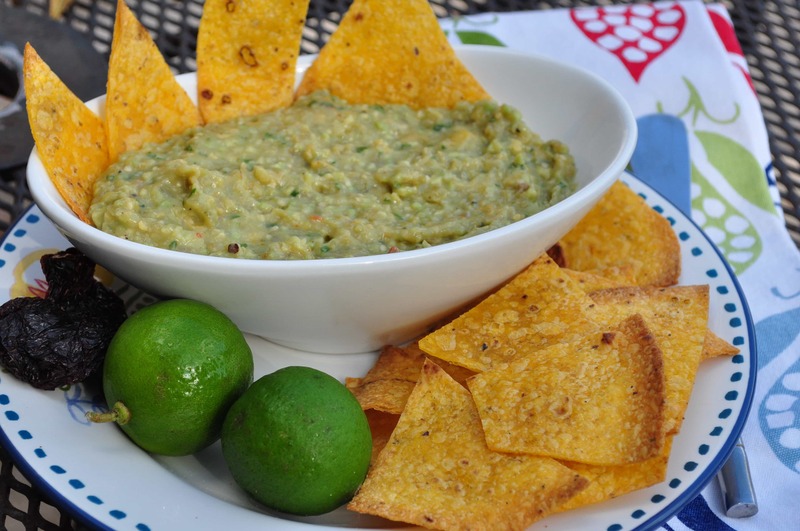 These tortilla chips go great with our homemade guacamole and our homemade salsa. These simple-to-make chips will delight your table at a backyard barbeque while staying healthy. Broiled them in the oven at 500 F for a minute per side. Thanks for posting this! Where can you buy those tortillas? I get them at Sprouts and Whole Foods. They are in the refrigerated section of Sprouts and the freezer section of Whole Foods. I have also seen them at Kroger in the freezer section. What kind of oil do you use? We made your yummy clif bars bars today & they were a hit! My youngest absolutely loves crunchy corn taco shells, and is so sad that I will no longer buy them for her. Do you think it would work to try to make these crunchy through baking, broiling, frying in coconut oil, etc...? If you think it would be possible, can you let me know how you would do it? If not, do you know of any organic brand of hard shells that I can buy? Thanks so much. You can try draping one of these tortillas over a muffin pan that is turned upside down. Then broil it for 5 minutes, but watch it carefully. That should give you taco cups. I'm also curious as to what oil you use.. especially with the 500 degrees! It would have to be something with a smoke point that high. I wonder if it would work at a lower temp. for a longer time? We used grapeseed oil. You can also try brushing them with water? That might work. Cooking them longer with a lower heat might work as well. I just looked up the Organic Sprouted Corn tortillas by food for Life. I don't have one near me but noticed I can order on line, however the orders come in bulk size orders so my question is can these be frozen until ready to use?